Is Your School Ready to Shelter-In-Place? 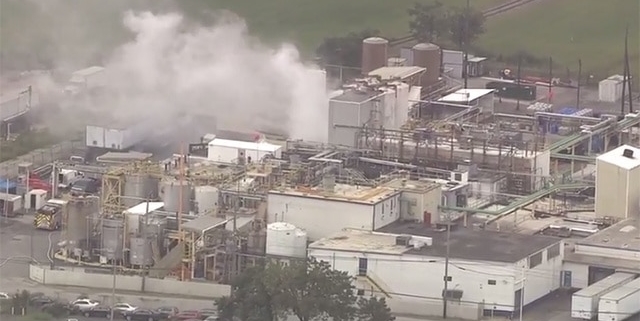 Officials in Baltimore, Maryland launched into emergency response mode after a chemical leak occurred in the area. 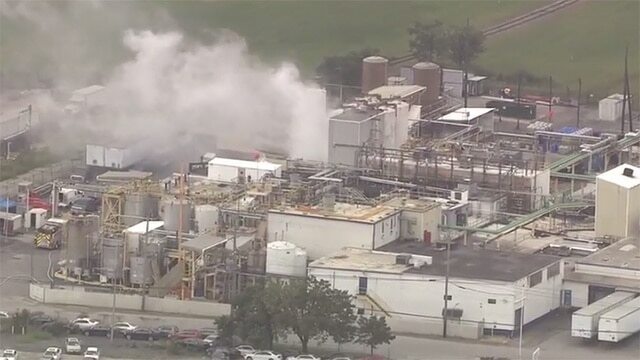 Local news reported that Chlorosulfonic acid was released into the air during an incident at a chemical plant, causing immediate danger for the everyone in the area. The city responded by issuing a shelter-in-place advisory for residents within a one-mile radius of the spill. Shelter-in-place describes the response to a non-human related threat and is distinctly different from “lockdowns” or “lockouts” which are issued when a dangerous person is in the area. Severe weather and airborne hazards spark shelter-in-place situations. Weather is the most common factor of shelter-in-place scenarios. Many schools routinely conduct shelter in place drills for weather related emergencies by having staff and students respond to the most structurally sound portion of the facility away from exterior windows and doors. As was the case in Baltimore, schools may be required to shelter in place due to airborne hazard which are often the result of tanker truck and commercial railway spills, or accidents at factories or plants. Because the reason you may be asked to shelter in place may be very different, your school’s response needs to be tailored to each specific threat. After the spill in Baltimore, city officials responded by quickly advising people in the surrounding areas to shelter-in-place. They activated social media accounts and the phone emergency alert systems to advise people of the danger. The alerts were effective because they were timely, concise and provided specific direction. One tweet read, “Due to @BaltimoreFire activity, residents in 21060 21225 & 21226 are being asked to shelter-in-place, close windows & limit time outside.” These alerts were crucial as they sparked emergency responses throughout the affected area. • Designate a location or locations with few windows that can fit staff, students and visitors. • Close all windows and doors. • Seal all cracks and vents using plastic sheeting and duct tape. • Have additional supplies including nonperishable food, water, first aid kits, battery powered radios and telephones in order to be able to communicate with concerned parents. • Shut off HVAC systems. • Communicate to ensure everyone knows when the shelter-in-place begins and ends. Releases of hazardous material spills can happen anywhere, so have a plan that you can efficiently execute to minimize exposure to staff and students. FEMA provides a comprehensive list that schools can reference for specific guidance. The California Department of Public Health, Know When and How to Shelter-in-Place for Schools is another good resource for schools. Luckily, the shelter-in-place in Baltimore only lasted for an hour and there were no reported hospitalizations due to this accident. Still, it serve as a reminder that emergency situations of any type can happen at any time and school administrators and staff need to be prepared beforehand. Stay safe and have a plan. http://secureed.com/wp-content/uploads/2017/09/IMG_5202.jpg 360 640 admin http://secureed.com/wp-content/uploads/2018/01/SEC-white-and-FIrestorm-Logos-011718v5-e1516229658932.png admin2017-09-19 12:54:442017-10-19 19:16:27Is Your School Ready to Shelter-In-Place? Step One, “sensing danger” seems straightforward – you can only respond to an emergency if you know that it exists. However, when it comes down to it, there are many roadblocks that can prevent people from sensing danger as quickly as might be possible. The faster people are aware that an emergency exists, the faster they can go through the rest of the response process and find their way to safety. The five senses can be major roadblocks in sensing danger. How many times have we heard of someone confusing gunfire for “fireworks?” Historically, people have relied on their senses to alert them to danger – the sound of a gunshot, the smell of fire, the sight of a dangerous person. However, human brains are naturally predisposed to attribute sounds and other sensory observations to things more typical of daily life. This confusion can drastically slow down your response process. Inability to share information can be another roadblock to sensing danger. Once one person identifies that an emergency exists, they can help other people by quickly sharing that information. If someone sees a gunman but has no way to share that information with the other people in their building, everyone else is at a disadvantage because they cannot begin to execute an emergency response. The solution to effectively sensing danger is comprehensive alert systems. Unlike relying on your senses, an alert system makes it clear that danger is present. Alert systems can also disseminate information to many people at the same time. Institutions across all industries have set up alert systems. Think about severe weather alerts, alerts to suspicious activity on our bank accounts, or engine alerts on your car. Schools have almost perfected their fire-alert systems. Schools have fire alarms that alert building occupants of a fire and automatically alert local fire departments of the emergency. All staff and students are trained to understand the alert, so when they hear it, they immediately sense the danger and can begin to respond in carefully crafted ways. It has been years since a child has died from a fire in a school building. Fire safety in school is proof that comprehensive alert systems do work. While schools are increasingly well prepared for violent incidents including active shooter, fire preparation is generations ahead of where we are for violent attacks. We can take many lessons from the “fire-preparation” movement to apply to active shooter situations. Efficient alerts are one key concept. In an active-violence situation, an effective alert will clearly and quickly inform others of the violence. Schools should utilize “plain-language” alerts (i.e. “Alert – there is a shooter in the building,”) or conduct drills to train students and teachers to immediately recognize alerts sounds. When the alert goes out quickly, people can begin to respond to the danger before they are physically confronted by it. What specific alerts do we recommend? There are some great high-tech systems on the market, but many are not widely used or available. Your alert system does not need to be too elaborate or expensive. Phone PA systems, email, or text, are common alert systems, but keep in mind that these have their limitations. Many PA systems are not accessible by all, the speakers are not loud enough, and people don’t have the immediate enough access to phones and email to make those methods useful. 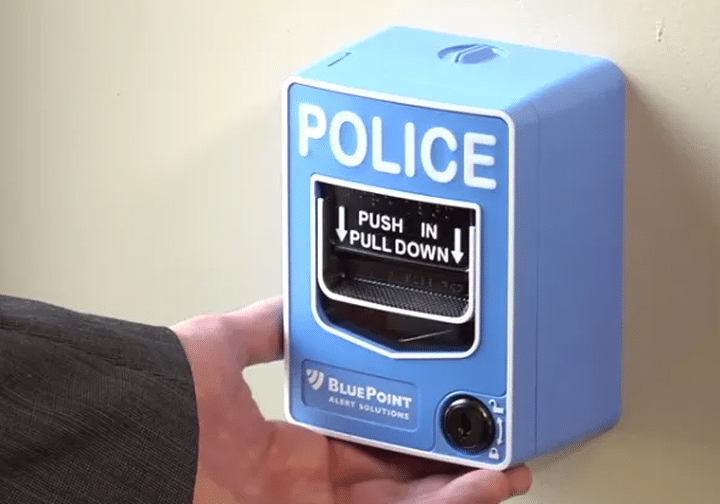 Organizations can take lower cost steps by utilizing tools like boat air horns, coast guard whistles, or plain language voice alerts that can quickly be spread around a facility. The key to a good emergency alert system is having a plan that is easily accessible and understood by all. How does your school plan to alert people in the event of an active shooter situation, or other emergencies? Develop a plan and share it will all stakeholders. If you need assistance developing a strong alert system, reach out to SEC.